Apple iPad is a revolutionary product in the tablet market for no doubt but one of the most disappointing factor with iPad that customer faces is the lack of Flash support. And Apple company had already made it clear that they have no intention in the future to resume the services of flash on any of the Apple products. Even HTML 5 based websites or players are emerging fast so we may see that flash will not be an major issue in the future. But, flash is not used only for video, take Games for instance. Most of the casual games that we like to play in our free time when we are in office or work are built in Flash, and the casual game market is huge. Some of the developers built iOS-specific versions of their games like Zyanga but that is not the solution because its not compulsory that every developer does the same. 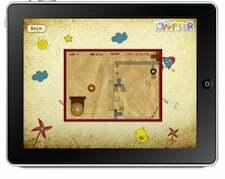 Now, I am telling you the solution, basically its an iPad app called iSwifter that allows you to play some popular Flash-based games on the iPad. iSwifter is an app that currently worked on iPad over wi-fi only and the company planned to expand its services for other iOS devices in the future. The idea is simple, you run the app which contacts iSwifter servers that are actually running the Flash and it seems like you are directly running the app from a web page. Personally, I like the idea but I don’t take it as perfect solution. 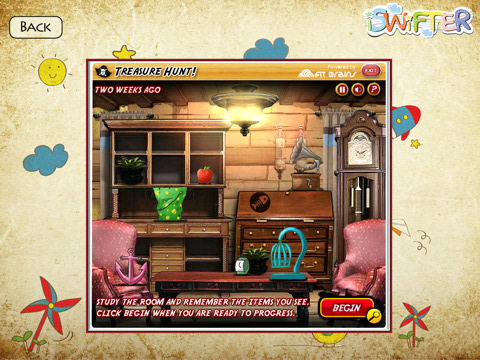 The first problem is that iSwifter can’t support every Flash game on the web, it allows you to play only limited set of games from Facebook, Yahoo, Kongregate and AOL Games. The developer team plans to add more games in the future and partner with other Flash-gaming portals too. This doesn’t really matter, as most of the games are puzzle games and you don’t need a very fast screen refresh rate to be playable. But, I would like to check the platform’s usefulness for action-oriented games. Right now, all games listed in the app don’t need any keyboard input but it will be interesting to see how well app will perform on games that rely on more keyboard inputs. 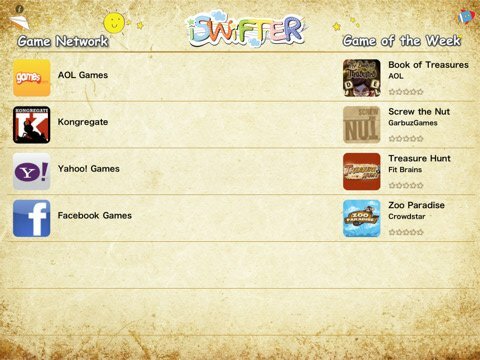 At present, iSwifter is only available for the iPad and only works over WiFi networks but company plans to add support for 3G networks soon and will launch iPhone and Android apps in the near future.